Robert L and Hannah Cropper Ashby: The Ashby’s were one of the most accomplished couples to live in Highland but they didn’t live here for a long time. They are remembered for raising silver foxes on a farm at #97 and the pens they built were a reminder of their venture for many years after the foxes were gone. John was born December 29, 1880, in Holden, Utah Territory to William Harden and Nancy Maria Badger Ashby. He attended Brigham Young Academy, graduating in 1904, and taught school for seventeen years. He was also an architect: designing schools, churches, businesses, and homes. He married Hannah on June 3, 1903, in the Manti Temple, probably having met her at BYA since she also was a student there. She was born December 13, 1879, in Fillmore, Utah Territory to Thomas Waters and Hannah Lucretia Rogers Cropper. 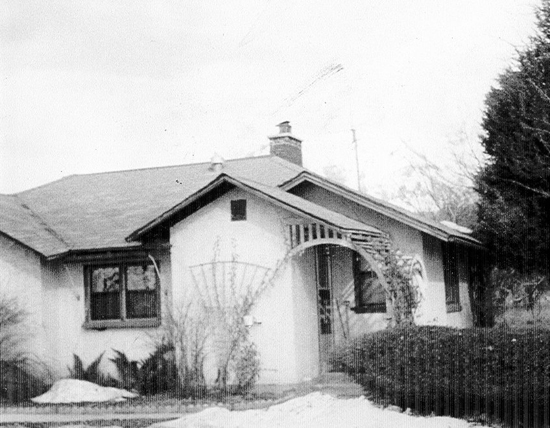 Before 1920 they moved to American Fork where he taught school and where they lived for most of their lives. During WWI Robert developed large-scale poultry production in Utah and in 1923 helped to form the Utah Poultry Co-op (predecessor to Intermountain Farmers Association). On his 1918 WWI draft registration he is listed as a school teacher in American Fork, on the 1910 census as a teacher; 1920, an architect; 1930, a poultry farmer; in 1940, a fur farmer; and on the 1942 WWII registration as self-employed. In 1925 he introduced silver foxes from Canada to produce fur pelts for the American market. In 1939 he helped organize the Utah Fur Breeders Co-op and was its’ president for many years. He and Hannah had ten children: Ruth, Althea, Nancy Lucretia, Mary Ena, Robert Morrell, William Cropper, Eda Alene, Bonna Susan, Armis Joseph, and Richard Land. All ten children graduated from BYU - three of them as doctors. Robert was very active in the Church of Jesus Christ of Latter-day Saints organizations, serving on a Stake High Council, Stake Board of Education, Sunday School Superintendent and teacher, YMMIA teacher, home missionary and genealogy committees. He wrote several books, mostly historical and genealogical. Hannah was also very involved in civic and Church organizations. She served as a stake missionary, YWMIA president and teacher, Sunday School and Relief Society teacher and on a Stake Relief Society Board. She was a poetess and a teacher. She was on the American Fork Library Board, a member of the Literary Club, DUP, PTA, Utah Poetry Society and National Association of American Penwomen. She received a BYU Alumni Distinguished Service Award in 1966 and was alternate Mother of the Year for Utah in 1968. She was active in politics, a legislative candidate twice, and received letters of commendation from Presidents Truman, Eisenhower and Nixon. Robert died December 14, 1970, in American Fork, Hannah died October 3, 1976, in Bountiful and they are buried in the American Fork City Cemetery.